One of the biggest milestones for a child is when they can finally tie their own shoelaces. I don't really remember when and how I learned to tie my own shoes but I remember my son when he learned how to do it himself. He was in first grade. I should have shown him earlier but I guess it was the easier way for a first time mom to use 'no tie shoes' when he started kindergarten:) He made only one bunny ear at first. After a few day of practice, finally the bunny got 2 ears:) How fun it was!! -Do you need help with that, mom? I still don't know when he turned 8? Time does fly! His first word, first steps, first time when he tied his shoes himself, his first time riding a bike with out training wheels, his first jump of the diving board.. Sometimes he sees other kids riding their bikes with no hands. Yesterday, he asked me if he can give it a try? There is an empty area.. I took him there, and told him to put his helmet on and to keep straight. You should see his face when he did it. Maybe it's a small thing but I knew how important it was for him. We're checking out kids shoes online together now. When it comes to choose his shoes, he reminds me that he is not a little kid anymore:) That's true! I better accept that! The best way to find a variety of styles, brands and colors of children shoes, and to compare quality and prices is by shopping from online retailers. How to measure your child's feet and fit their shoes? Want to access another computer? I have been very interested in learning more about to access another computer. Yesterday we had a conversation about it with some people. Learning about computer world looks like endless:) Anyway, every new thing I learned is a plus at least. Isn't it? I heard about Proxy Pro but I didn't know what was that for exactly until yesterday. It's a piece of software that allows one computer to access or control another via the internet. Proxy Pro 7 Workstation EditionMost of technicians prefer to upgrade to PROXY Pro 7 Workstation Edition because it's fast and has great security, including “256-bit encryption– the highest in its class. I'd like to share with you guys a little more about this business-oriented service. Remote access software provides to reach machines anytime, anywhere. Remote control software provides to resolve support issues collaborativelyand. Remote management software allows to monitor and repair machines in real-time. PROXY Pro 7 Remote Desktop Software allows remote control of Mac and Linux computers as well as Windows 7. You can download your free 30-Day Trial of PROXY Pro 7 now.PROXY Pro 7.0 introduces peer-to-peer remote access and control of Macintosh and Linux computers for the first time. Schools, colleges and other educational organizations prefer Proxy Pro and thousands of helpdesk and IT administrators everyday to access and managing desktops, servers and mobile computers. Relaxing time with a music box! Hope you're staying cool today. It's 96 degrees here. The best thing to do is staying home, relaxing, having a nice icy drink:) What else? Maybe a nap? My son loves taking a nap with his music box. How relaxed it can make you and your little ones feel! They are very comforting. Do you have a music box or do you want a new one? 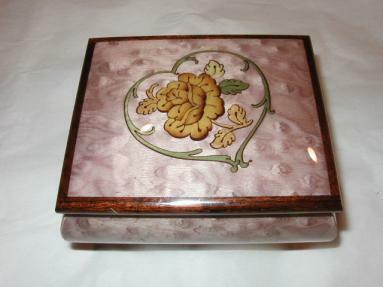 Also you may want to buy one of those beautiful music boxes as a gift to your family/friends. I still remember I had a music box when I was a little girl. Whenever I hear the same music it really does make me feel all cozy inside. Amazing Music Box original online music box gifts company offers the widest selection and the lowest prices online as well as offline. Their music boxes are perfectly sized, hand made by artisans from Sorrento, Italy. The melodies are Swiss-made Romance mechanical movements by Reuge. They also carry the Sankyo mechanical music movements from Japan. I also really like the Butterflies theme music box with jewelry compartment. Gorgeous! Choose a sentimental melody, they will built it for you and deliver it to you up to a week. Put your little ones to sleep with these adorable music boxes. They can help you calm your baby and put him or her to sleep easily. They also will amuse your child. Time does fly. If you like to start planning on what to get your family and friends for Christmas, add one of those beautiful music boxes to your list. It make an elegant Christmas Gift for your loved ones. Choose an music box for them. Sharing the joys and traditions of the holiday season with your little ones, your grand children is truly one of the greatest gifts of parenthood. They will remember that special day forever..